Straight-Leg Pants Pattern | Barbie Who? This pattern is designed for a belly-button typed 11.5″ Barbie doll, but it also fits the older narrow-hipped dolls fairly well. 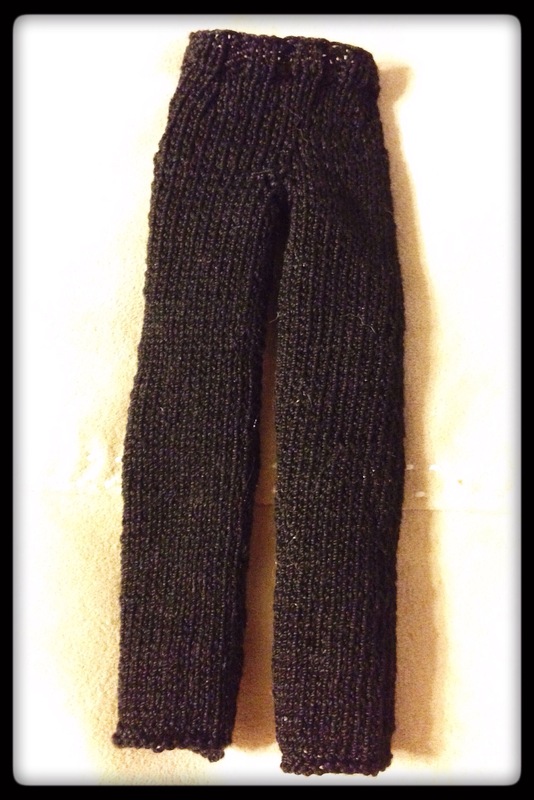 It should fit most of the different Barbie doll body types if you take care when knitting the top half of the pants and cast off with enough slack. – This pattern can be modified for length – you can easily subtract rows for a better fit for a Skipper or Disney doll. – Slip the first stitch of every row for a nicer edge that sews together better than a rough non-slip stitched edge. – k2p2 is optional as you cast off; I didn’t notice a big difference in the finished product between only knitting the cast off row and alternating that row between knits and purls to match the previous rows. Finish the pattern by sewing the seams together. I find that it is easiest to sew the back of the top from top to bottom first, and then work your way down both legs. It is easier to work from the top down because then you won’t end up with uneven ends in the crotch area. It is much easier to regulate the stretch of the fabric as you work down the legs, and you can adjust it as needed to keep it even. The hardest part things in this pattern to sew is the crotch area, so make sure to take your time so that you don’t sew the wrong edges together. Once the pants are sewn together and you have worked in any loose ends, your doll will have a sweet new pair of slacks. That is it! Once you complete these steps, you will be in possession of a lovely pair of straight-leg Ood pants. I am happy that I was able to share this with everybody. I look forward to sharing the Ood Mask pattern with you all once it has been perfected. This is my original pattern and protected by copyright law. These instructions may not be duplicated, distributed, or sold in any form. You are welcome to create and sell the items that you make using this pattern; I kindly ask that you link back to my blog if you do so. If you make this pattern, please let me know! I would love to see your work, and I will update the pattern as needed with the feedback given. 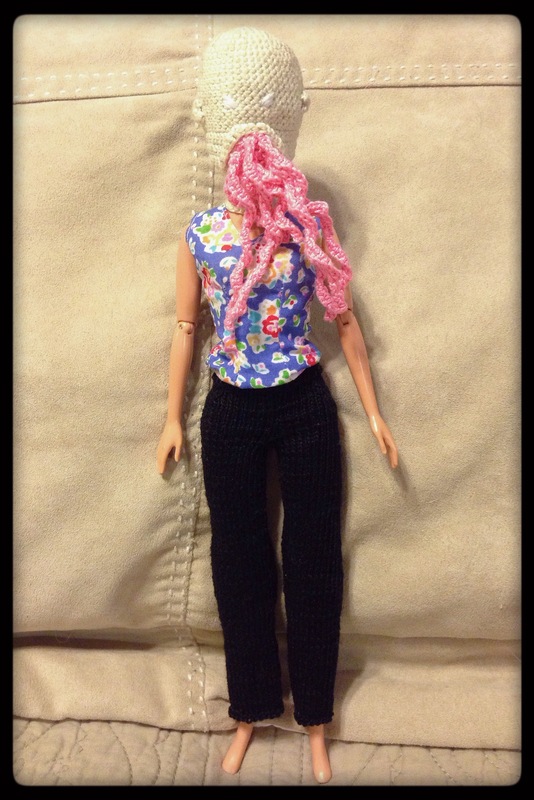 Pingback: Ood Pants, Take 3 | Barbie Who? You made a Barbie into an Ood, it’s super exciting, I’m so glad you liked my post or I never would have seen this awesomeness!